This is WOW News 247: 3rd World War is About to Start As Russia Deploy Warships: UK Vows to Defend Territory Against Russian Invasion! 3rd World War is About to Start As Russia Deploy Warships: UK Vows to Defend Territory Against Russian Invasion! 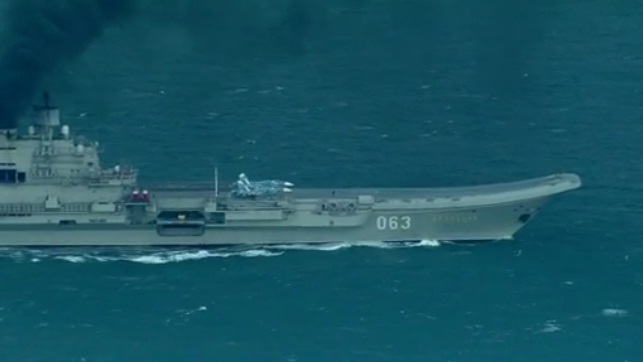 A flotilla of Russian warships is passing through the English Channel en route to Syria. Two British naval ships are shadowing the vessels. The Ministry of Defence said they would be "man-marked every step of the way" while near UK waters. A Russian tug, believed to be in convoy with the taskforce, entered the channel first off the coast near Ramsgate. EU leaders have strongly condemned Russia's involvement in bombing the Syrian city of Aleppo.